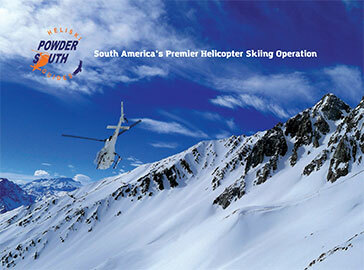 POWDER SOUTH HELI-SKI GUIDES is South America’s premier helicopter ski operation, located in the heart of the Chilean Central Andes. We’ve been in business for 11 memorable seasons and continue to offer a ski and snowboard experience unlike anything in the world, deep in the enchanting and rugged peaks of southern South America. 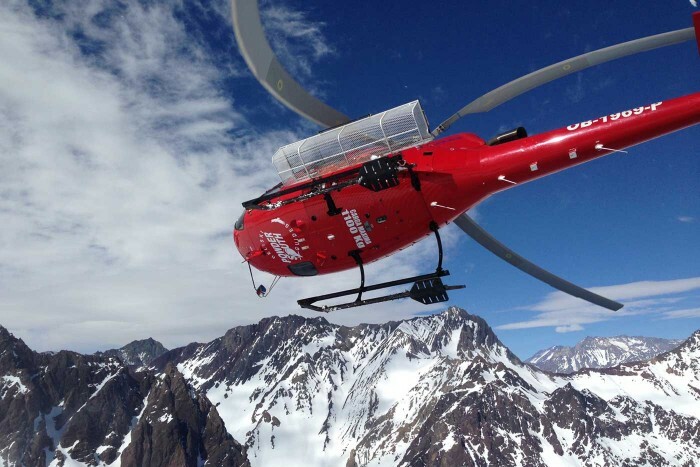 Founded by a UIAGM / IFMGA mountain guide and by a former Olympic downhill racer, POWDER SOUTH HELI-SKI GUIDES has changed the game in South American helicopter skiing. Previously, informal operations offered quick, relatively routine runs near ski areas. At POWDER SOUTH, we have pioneered an entirely new style of remote heli-skiing with world-class standards and vast terrain for skiers and snowboarders from around the world — guided by the best professional ski guides from Europe, Alaska, the Continental U.S. and here in the Andes. Almost every one of our guides holds a UIAGM / IFMGA certification, the highest guide qualification in the world. We offer week-long and three-day packages full of serious adventure, a wide variety of terrain (including couloirs, long ramps, and wide open powder fields), and incredible food and culture. Our location in the Southern Hemisphere enables us to offer alternate season heli-skiing during the Northern Hemisphere summer. 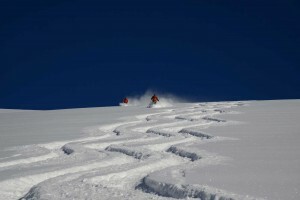 As such, our heli-ski packages are culturally unique and reflect the generous hospitality of the traditional Chilean mountain lodge, with Patagonian style barbecues, fireside gatherings in a gorgeous orchard outside the city of Santiago, delicious paellas and local cocktails, and then, of course, extraordinary heli-skiing and snowboarding each day.